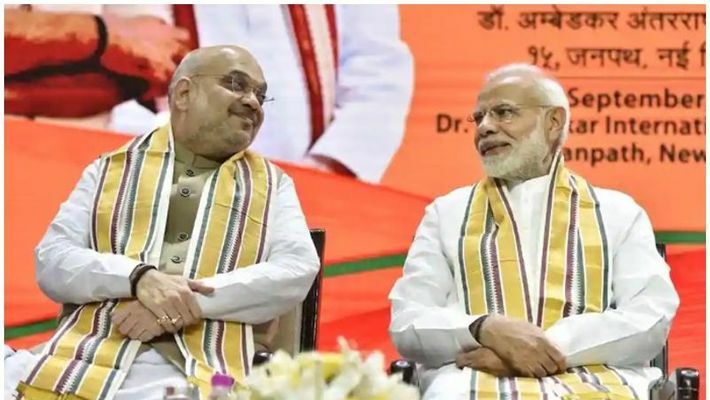 While there is no surprise in repeating Prime Minister Narendra Modi from Varanasi, Amit Shah replacing LK Advani in Gandhinagar is significant. 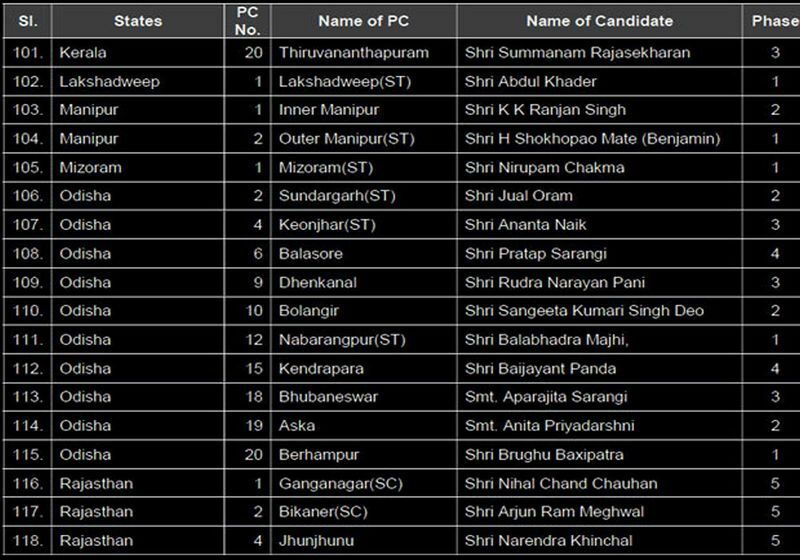 Several ministers and sitting MPs have been renominated except in Chhattisgarh. 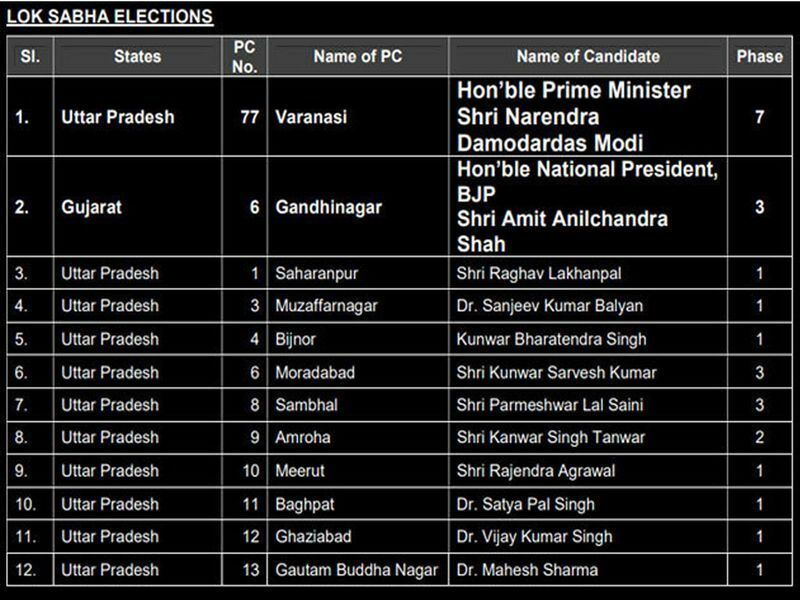 Smriti Irani, who had in 2014 remarkably reduced Rahul Gandhi's victory margin when compared to his 2009 figures, if fighting the Congress president again in Amethi. Read on for the rest of the list. 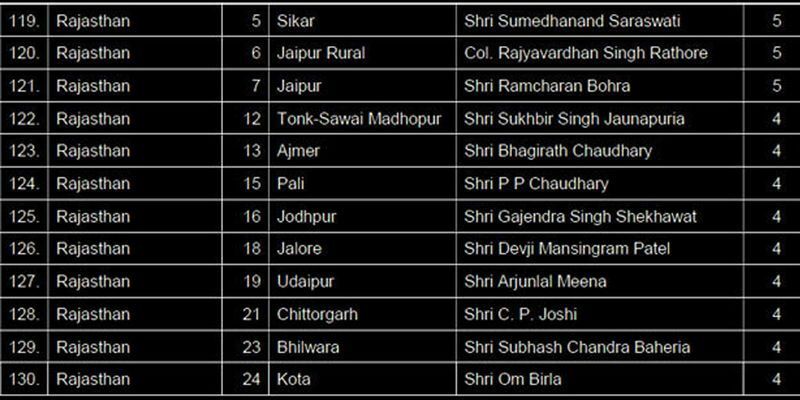 New Delhi: After keeping it suspense for the longest time possible, the Bharatiya Janata Party (BJP) in the evening of Holi announced its list of 184 candidates for the 2019 general election. 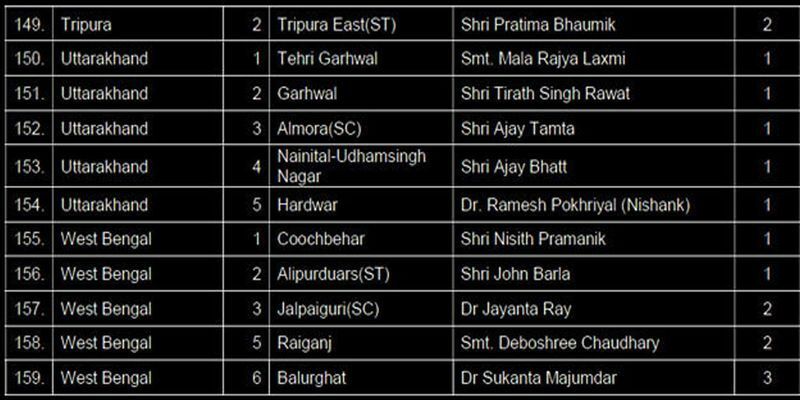 Three central election committee (CEC) meetings took place to finalise this list: on March 16, 19 and 20. But sources say the BJP deliberately delayed the announcement as the party considers the period leading up to Holi inauspicious — going by the Hindu belief of avoiding important activities during Holashtaka (the period in Phalguna between Ashtami of the Krishna Paksha and Purnima when Holi is celebrated). It’s just four days to the expiry of the date of submitting nominations for the first phase of the Lok Sabha election. 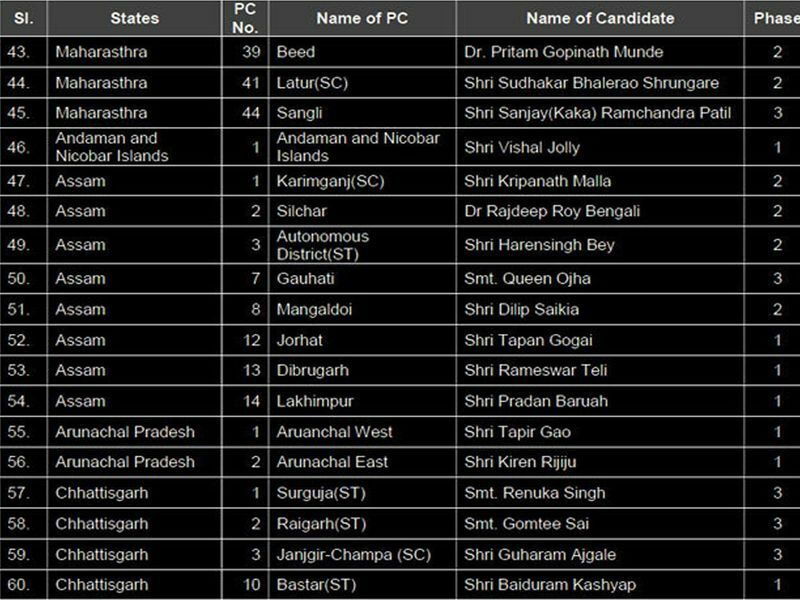 The BJP has announced its candidates for constituencies that are located in Uttar Pradesh, Bihar, Bengal, Arunachal Pradesh, Karnataka, Rajasthan, Kerala, Sikkim, Andamans, Tripura, Uttarakhand, Gujarat and Jammu & Kashmir. 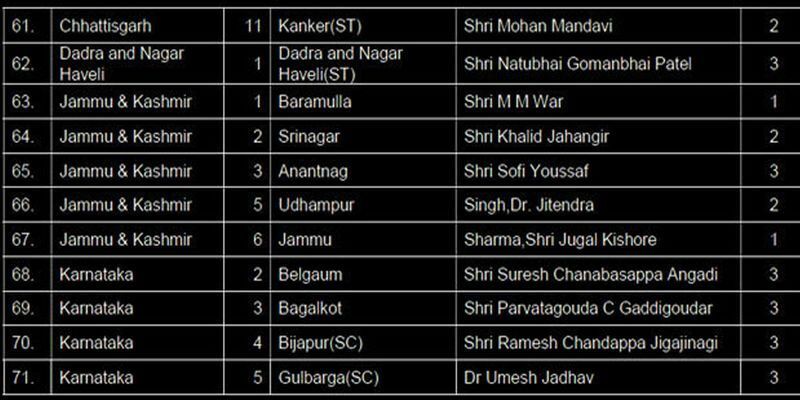 An important name from Jammu Kashmir is that of Union minister Dr Jitendra Singh who has been renominated from Udhampur. 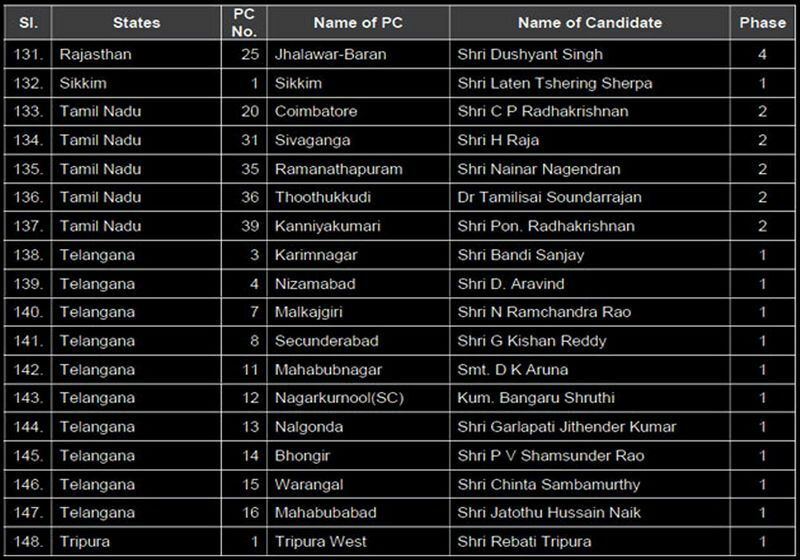 Interestingly, no sitting MP has been repeated in Chhattisgarh, but that is not the story of the rest of the states. While reading out the names, Union minister JP Nadda had to repeatedly remark, as and when the turn demanded, that the candidate just announced was a sitting minister or MP. 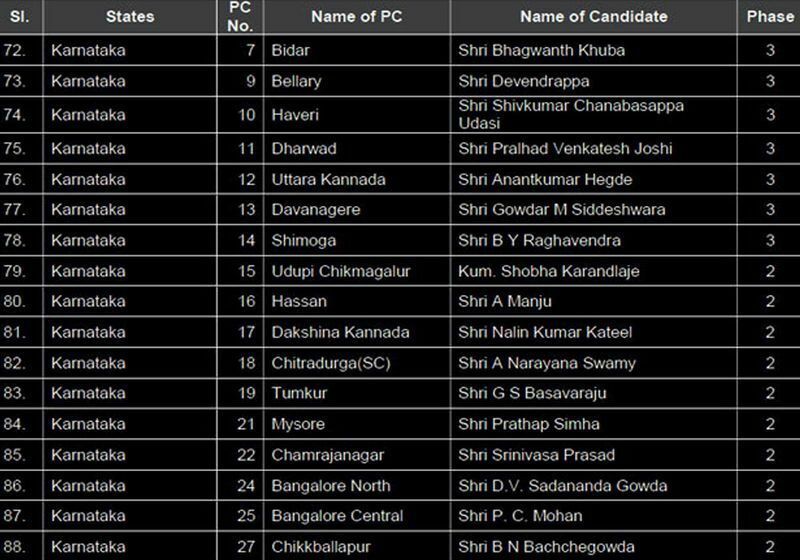 Amit Shah, in spite of being a Rajya Sabha member, has been fielded from Gandhinagar, hitherto the constituency of LK Advani. 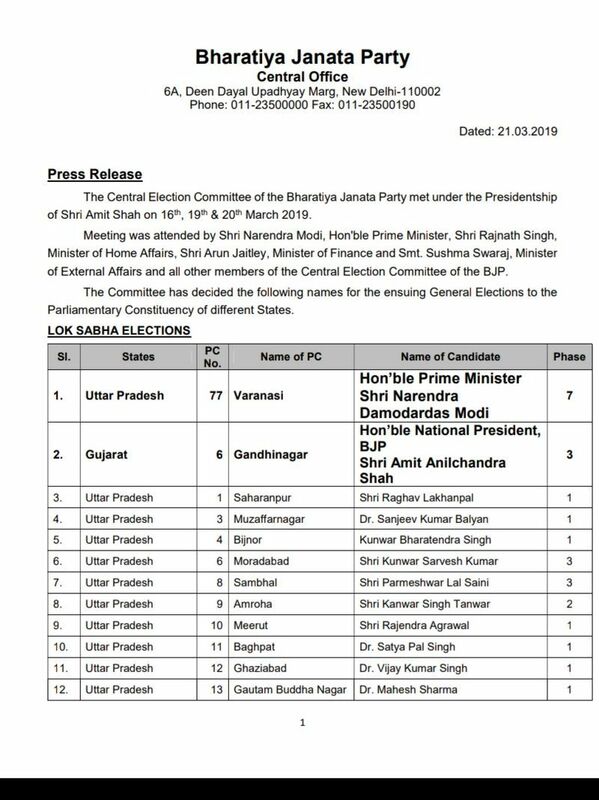 No name was declared for Bihar but, JP Nadda said the CEC has cleared all the 17 names, which are being sent to the state and the alliance with JD(U), LJP and NDA constituents will together announce the names. 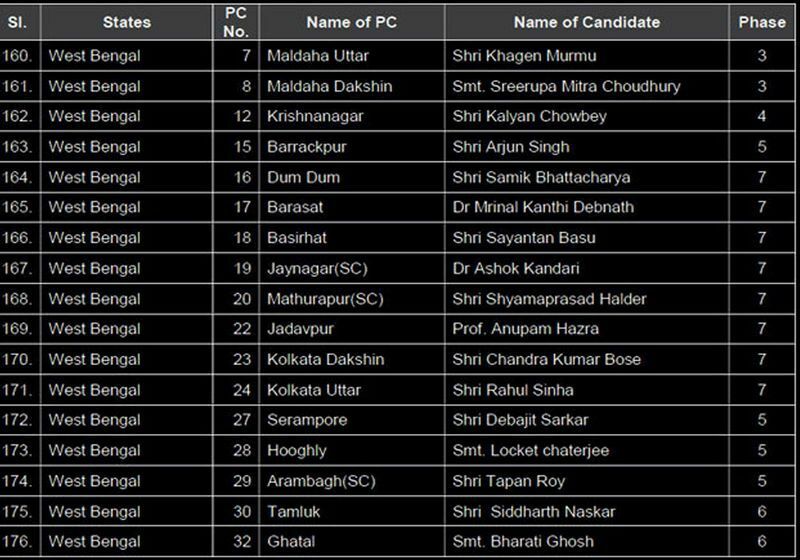 Bengal has been on top of BJP’s agenda where it hopes to compensate for the possible losses elsewhere. Expectedly, it has gone all guns blazing in the state. 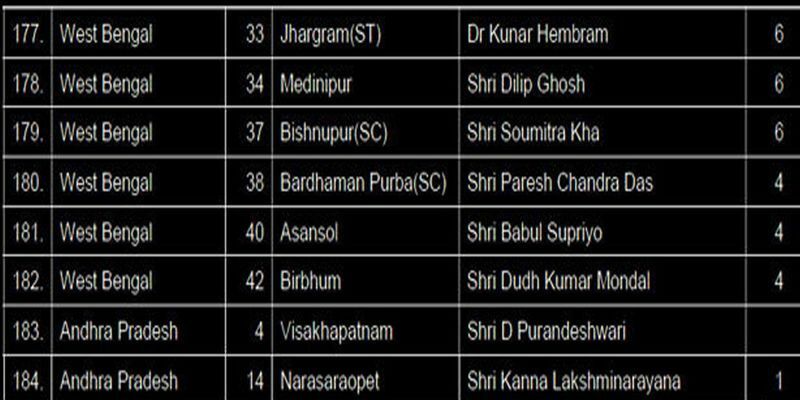 While Babul Supriyo has retained his constituency, former top cop and once a close aide of Mamata Banerjee, Bharati Ghosh has been fielded from Ghatal. 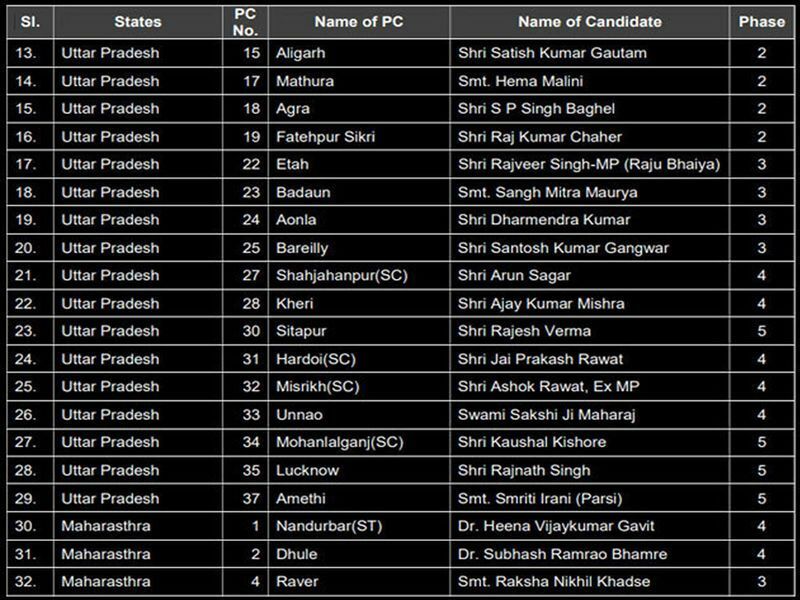 This election will see a battle royale in Amethi where Smriti Irani is once again pitted against Rahul Gandhi. 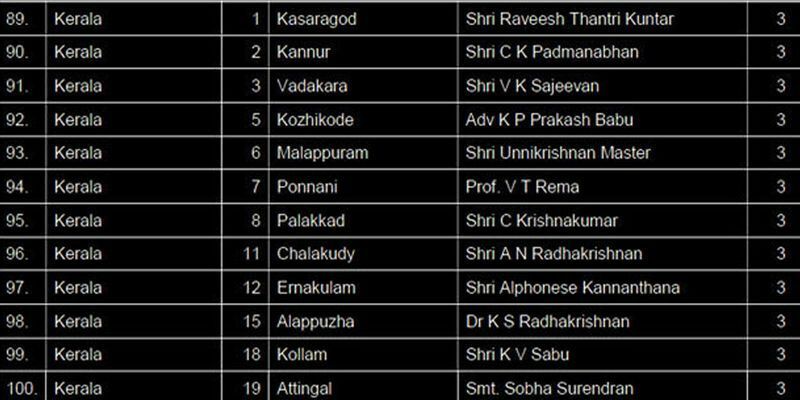 In Kerala’s Thiruvananthapuram seat, Kummanam Rajasekharan, BJP’s old hand in the state, has been fielded against Shashi Tharoor. Babul Supriyo will fight TMC’s Moon Moon Sen in Asansol.